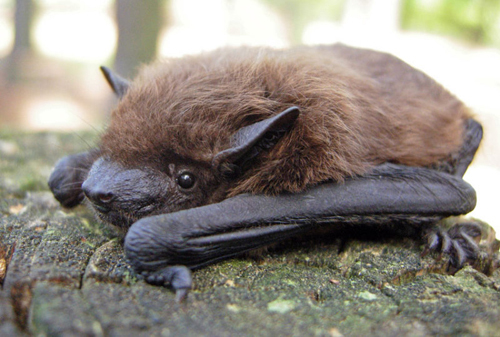 Description: The Evening Bat (Nycticeius humeralis) has dark brown fur, with a light belly. It’s approximate length is 87 mm and average weight is 5-10 grams. About the Evening Bat: This bat has been found in a variety of roosts, from buildings to trees to rock crevices. They are classified as a tree-roosting species. Females give birth to one to three pups.